Hardcover, 12 x 9.75 in. / 224 pgs / 154 color. Cézanne: Landscape into Art, which reprises and expands the classic 1996 publication by Yale University Press, does precisely this. 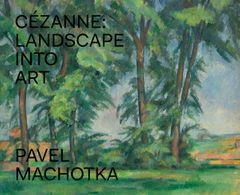 In this highly praised study, the scholar Pavel Machotka juxtaposes photographs of the sites of Cézanne’s landscape paintings--whenever possible, from the same angle and at the same time of day that the artist painted the scenes--with reproductions of the relevant paintings, offering a uniquely practical analysis of the ways in which Cézanne transformed reality into art. Since the original publication of this volume, new sites have been discovered--the result of scrutinizing collections of contemporaneous photographs and land registry records. These discoveries have added considerably to our knowledge of Cézanne’s movements and have even helped to date his paintings more precisely. The new photographs, which range from postcards from the artist’s time or the author’s own color photographs, allow for a richer and better informed consideration of Cézanne’s oeuvre. 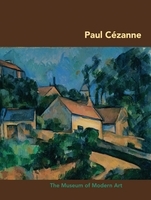 In light of those discoveries, Machotka has rewritten the previous edition to offer a fresh, rich view of Cézanne’s artistic aims and accomplishments. 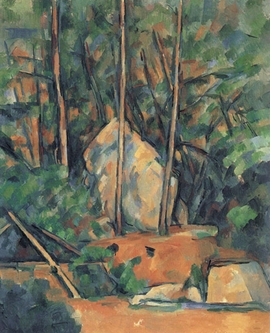 Featured image, "La Citerne dans le parc du Château Noir" (1900), is reproduced from Cézanne: Landscape into Art. FORMAT: Hbk, 12 x 9.75 in. / 224 pgs / 154 color.